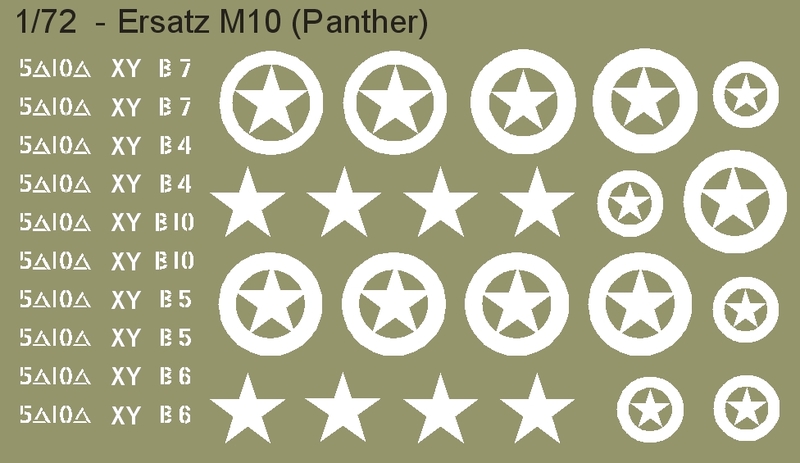 This mini sheet contains markings for 5 of the Panthers that were modified to look like M10 tanks during the Battle of the Bulge in December 44. The stars in circles were crudely applied and thus differed from tank to tank. Hence these star/circle markings are meant to not look 'clean' and uniform. Instructions showing decal placement are included.